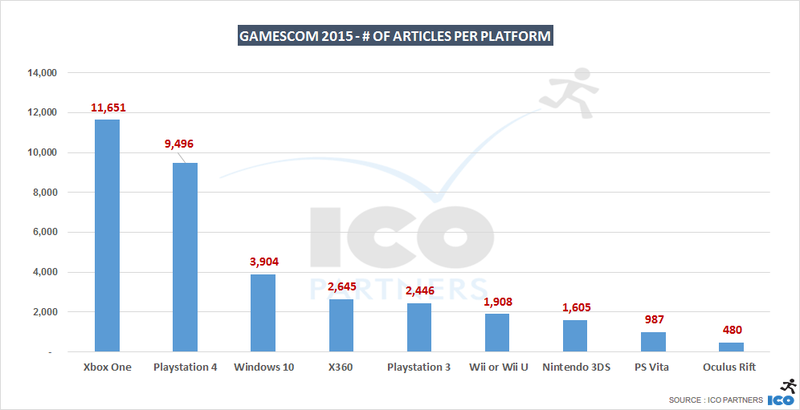 The dust has settled and it is time to have an in-depth look at the media coverage that gamescom received this year. I think you would all benefit checking out my article from last year. I will compare a lot this year and last year, but a proper refresher can be found in that post. 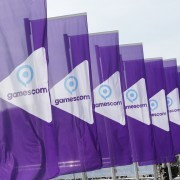 This year’s gamescom was particularly interesting due to a number of differences from the previous years. While Sony was present at gamescom and had a massive booth, there was no media briefing the day before the event started. Microsoft was basically on its own this time around, with no other comparable media briefing to face it. 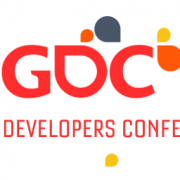 The reason for this is more than likely due the proximity between gamescom and E3 this year. With an extra early gamescom, there were only 6 weeks between the two events and Sony decided to skip gamescom and to have a media briefing ahead of the Paris Games Week this year instead (late October, in Paris as the name suggests). This was the first time in a while that the exhibition halls were moved at gamescom. It meant some extra space for the B2B area with Hall 2 and 3 for the first time used at gamescom. The B2C section was also expanded, with the usually only partially used Halls 10.1 and 10.2 better populated, and Hall 5 taken from the B2B for the first time. Hall 1 was also secured for a one night event around German Youtubers. Riot Games wasn’t present this year, after having occupied half a hall in 2014, but the space they left vacant was filled in with more exhibitors this year. There is a growth for the event, even if it is not a massive one (were are talking about +3% for visitors and +5% for trade visitors). Considering the size the event has already reached, this is not necessarily surprising. I wonder though if the change in dates helped or made it harder for the growth. In short, this year gamescom was again massive. But enough of this, let’s look at *our* numbers. All numbers here are taken as usual from our media monitor. They cover the whole week of gamescom, like last year. With only one media briefing taking place on the Tuesday, the peak of the media coverage didn’t happen on that day like last year. 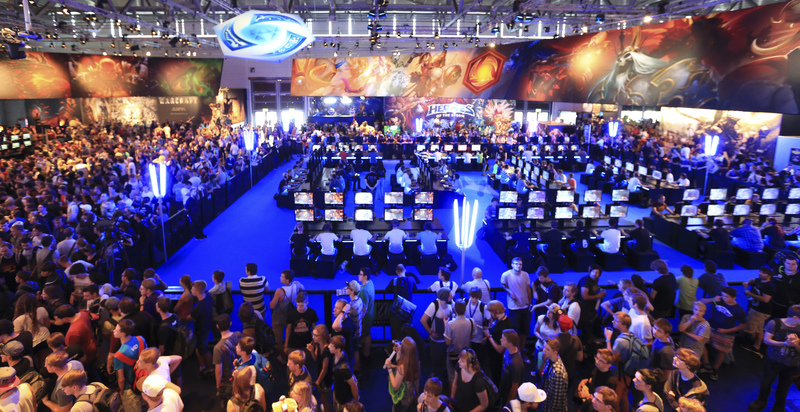 Wednesday is an important day at gamescom as this is the one day where the show floor is open to professionals-only. A lot of media meetings happen during that day, and somehow, this year saw a lot more output than last year. So, despite no press conference from Sony this year, there were more articles published on the Tuesday and way way more articles on the Wednesday. Overall, this year’s media output was significantly bigger than last year. 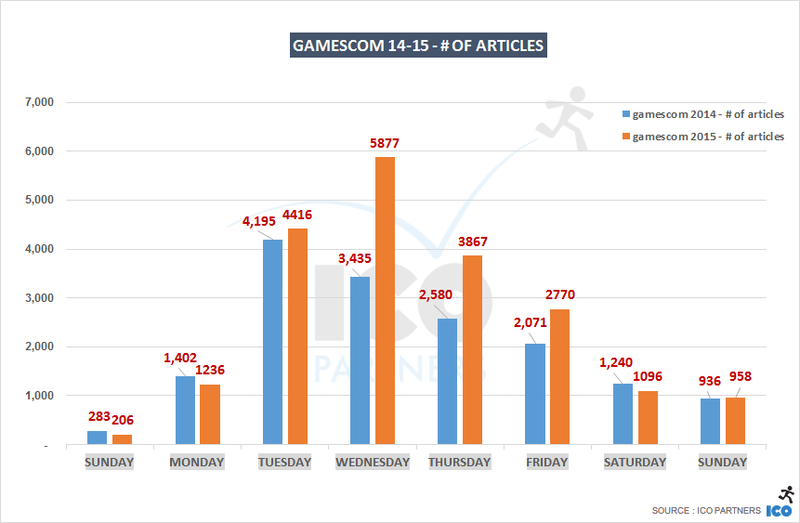 More than 25% articles published in the week mentioned gamescom. That’s a very significant increase, especially when Sony didn’t have a media brief to announce something major. 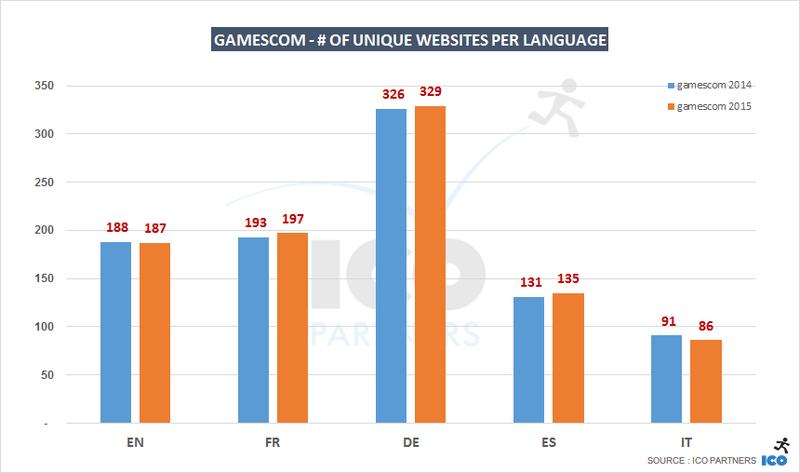 Looking only at the 5 top languages, there was some growth across the board, but the largest part of this year’s growth came from German and Italian media outlets. 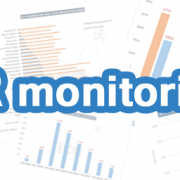 Looking purely at the number of unique websites covering the event, it is interesting to see that there is almost no growth – the increase in the number of articles is coming from a generally bigger output by the media attending, rather than more media attending the event. 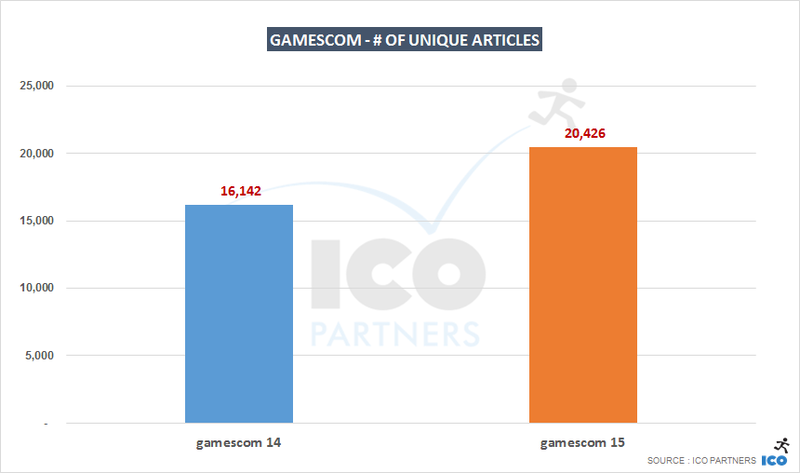 This is particularly striking when considering the Italian media, where fewer sites covered gamescom, but still had close to 67% more articles than last year. With no Sony media brief this year, the results for the platform with the largest media coverage shouldn’t be very surprising. What is quite striking is how the Playstation 4 performance is still strong in regards to its main competitor. A lot was happening for Sony at gamescom, their booth was large and busy, but it also speaks for the strength of the brand (especially in Europe) to keep such a strong media presence. Compared to last year, where they were holding a press conference, Sony didn’t seem to lose much media presence. It is good to bear in mind that this year was a very strong year in terms of the media output, though. Less media coverage, during a year that saw a significant growth, could well hide a much bigger missed opportunity for Sony. 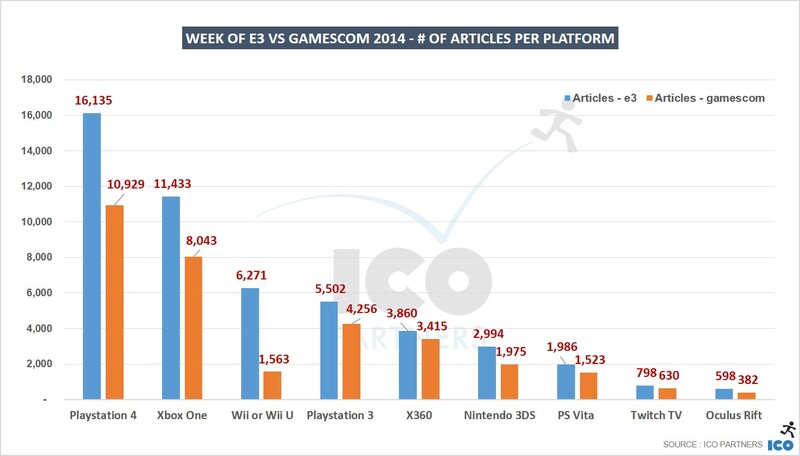 In the case of Microsoft, the net gain is incontestable, with almost +50% articles on Xbox One from last year’s event. Also notable for them, is the very strong showing of Windows 10 in the media, even though this is across kind of articles and a number of them might just be related to the release of the OS and not be connected to gamescom. 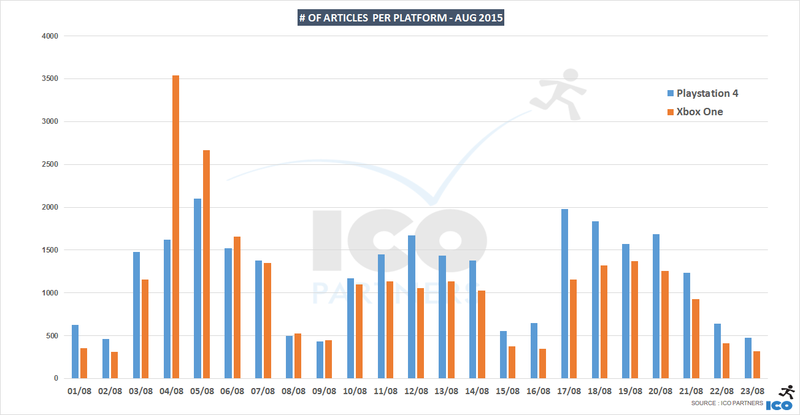 By our metrics, it is still a very strong week in terms of media presence. 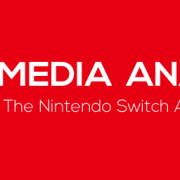 Nintendo’s consoles performed better than last year as well, following the general growth of the event in term of media coverage. 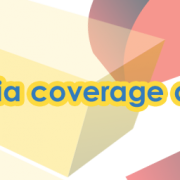 Finally, while closer than ever to its consumer version launch, Oculus doesn’t seem to have grown massively its media coverage from its presence at gamescom. Those numbers from last year show a significant difference of scale between the two events, with E3 taking a much more prominent role in the calendar of all actors in the games industry. The number for this year are very instructive. 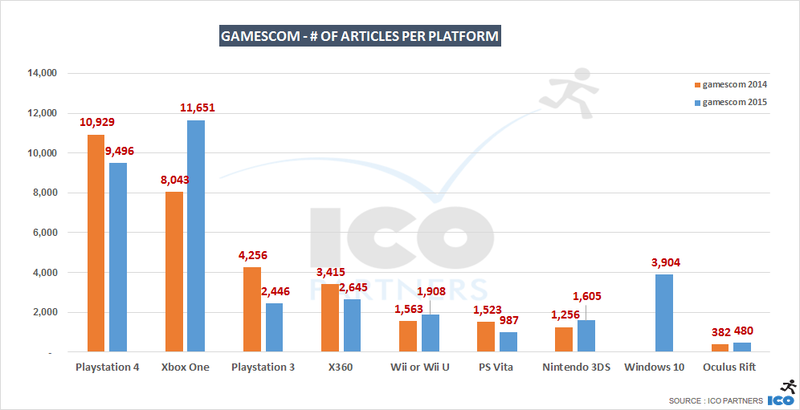 Where the Playstation 4 had a similar coverage at E3 year-on-year, the Xbox One had a great E3 compared to last year, and an even greater gamescom. 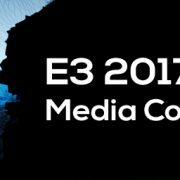 The media coverage it received was at a similar level as E3 last year. Unsurprisingly, Microsoft having free reign at gamescom paid off – but I think it is important to highlight that it didn’t happen purely because of the absence of serious contenders. This year’s gamescom conference was, to me, the best Microsoft has organised in years, across the different E3s and gamescoms. If you ignore the incredibly cringey eSport moment with the commentators going on about a pre-recorded match, the overall line was very strong, quite varied, and had a surprising number of first announcements, without too much of the forced-down-your-throat “we are awesome” lines that are usual for Microsoft (and that I believe is not as well received in Europe as it is in the US). 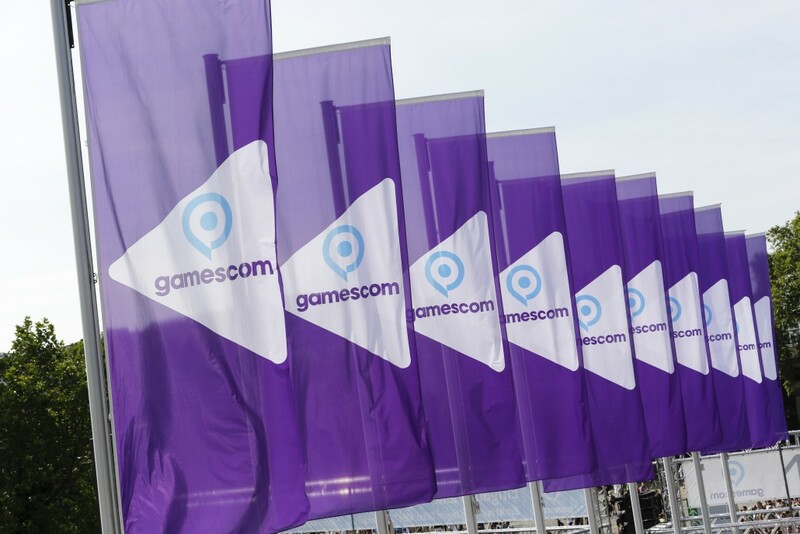 It is a welcome strong performance and sets up for an interesting gamescom next year, when it will be held at a more usual time of somewhere in mid-August. 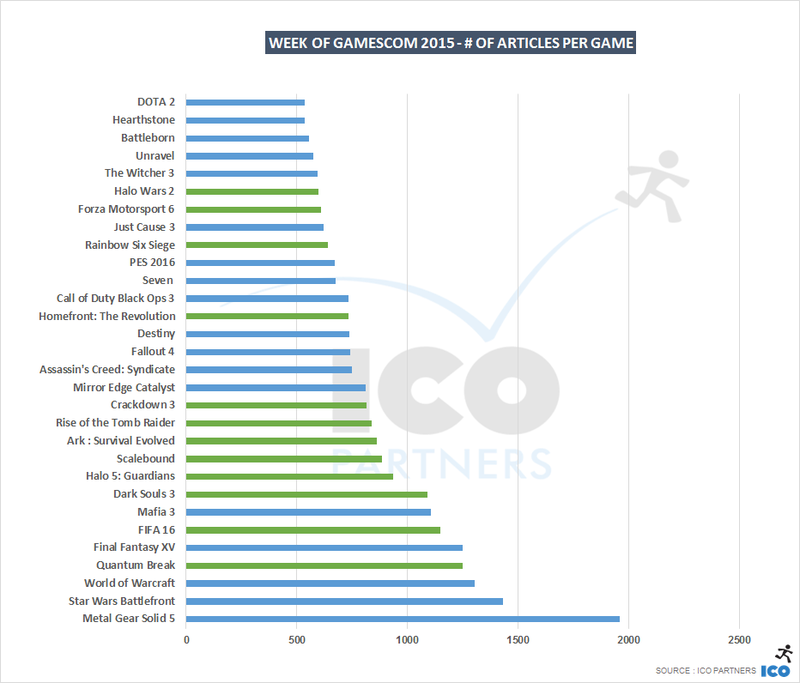 The star of the show last year was Call of Duty: Advanced Warfare (with about 1,700 articles). This time around, the Call of Duty game ranks 19th. The change of privileged partner from Sony to Microsoft is surely playing a big role (and we should see how it pays off media-wise after Paris Games Week). EA and Blizzard also both holding press conferences had a big impact. World of Warcraft, while having a very very steady amount of coverage normally, rarely breaks into the most covered in the media. Star Wars Battlefront, FIFA 16 and Mirror’s Edge all benefitted from Electronic Arts media conference. Metal Gear Solid 5 shows the incredible strength of the brand, and Konami did put a lot out during gamescom to promote their game. Another very notable performance is DOTA 2. Totally unrelated from gamescom, this is thanks to the final phase of The International 5 taking place the exact same week as gamescom. I am not sure this was ideal for the game, but it still managed to be very present in the news cycles.